TWELVE OF THE BEST COMPILATIONS OF 2012 PART ONE-JANUARY TO JUNE. Having recently picked what I regard as the six box sets from 2012, it’s now time for me to pick twelve of my favorite compilations of 2012. To do this, I’ve had to listen to literally a mountain of music. There’s been so many great compilations during 2012, that choosing just twelve wasn’t easy. In fact, I could just as easily have picked twenty or thirty albums. What I decided to do was pick an eclectic selection of compilations. I could easily have picked my personal favourites. That would’ve meant plenty disco and Philly Soul. Instead, I choose an eclectic selection of music. This list excludes box sets and rereleases of albums. It’s purely a selection of some of the best compilations of 2012. DEEP DISCO AND BOOGIE VOLUME 1. The first compilation of 2012 I’ve chosen is Deep Disco and Boogie Volume 1, released by the Dutch label Kindred Spirits. Deep Disco and Boogie Volume 1 was compiled by crated digger and record dealer extraordinaire Zaf Chowdry. This would be the first of two compilations Zaf compiled during 2012. Later in 2012, he compiled Private Wax for BBE Music. That was still to come, and Deep Disco and Boogie Volume 1 set the standard high for his second compilation of 2012. On Deep Disco and Boogie Volume 1, Zaf has selected twelve slices of the deepest disco and boogie. This includes that rarities from China Burton, Cash and Roy Ayers, sitting comfortably beside the lush sounding C.C. Cameron track Live For Love and the fabulously funky Ojeda Penn. These are just a few of the gems to be found on Deep Disco and Boogie Volume 1. By digging so deep, and unearthing so many hidden gems, Zaf has avoided many of the tired and familiar tracks that often feature on similar compilations. Instead, Zaf Chowdry has dug deep into the crates, to find twelve tracks as good as this. There’s disco and boogie, but with a soulful and funky influence with even gospel twist on Ricky Womack and Christian Essence’s I Need You. 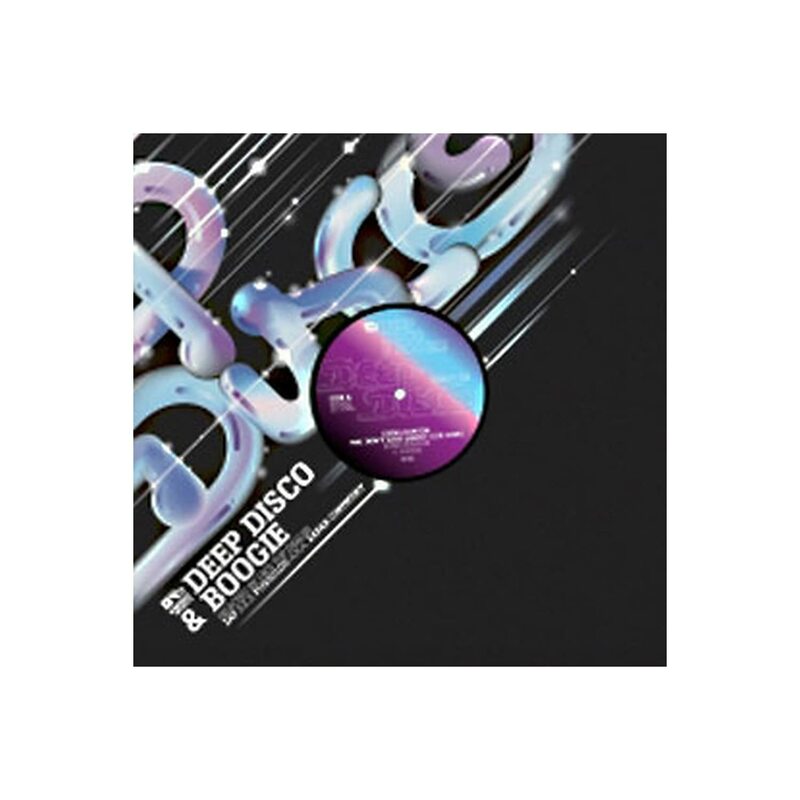 All this means Deep Disco and Boogie Volume 1 is an eclectic and compelling compilation. As to the quality of music on Deep Disco and Boogie Volume 1, it’s consistent throughout, without any faux pax or filler. SOUL JAZZ RECORDS PRESENTS VOGUING AND THE HOUSE BALLROOM SCENE 1976-1996. Back in February 2012, Soul Jazz Records released what I’d say was their best compilation of 2012, Soul Jazz Records Presents Voguing and The House Ballroom Scene 1976-1996. The compilation was available as either a double or triple CD set. I reviewed the triple CS Set, which was compiled by Stuart Baker, with lengthy and informative sleeve notes by Tim Lawrence. It’s a retrospective compilation of the voguing dance scene in New York, between the mid-eighties to mid-nineties. Both the music and the sleeve-notes document one of the most important musical scenes in New York. Soul Jazz Records Presents Voguing and The House Ballroom Scene 1976-1996 is best described as the soundtrack to the voguing scene during a ten-year period. Disc One includes music by Inner Life, Cheryl Lynn, Loose Joints, Diana Ross and Masters At Work. Then on Disc Two, the quality keeps on coming. There’s tracks from M.F.S.B, First Choice, The Salsoul Orchestra, Junior Vasquez and Nitro Deluxe. If you decide to buy the three disco set of Soul Jazz Records Presents Voguing and The House Ballroom Scene 1976-1996, it features a Junior Vasquez mix. Not only does Junior Vasquez’s mix feature every track on the album, but includes a track by Ellis D. As a bonus, the triple disc set includes a limited edition set of black and while postcards, featuring photographs of the voguing scene. For all the extra cost of the triple album, it’s well worth spending the extra for Junior Vasquez’s mix and the postcards. Put simply, Soul Jazz Records Presents Voguing and The House Ballroom Scene 1976-1996 is a luxurious compilation, that was lovingly compiled and documents one of the most important musical scenes of the late 20th century. JOHNNY D PRESENTS DISCO JAMMS VOLUME 1. 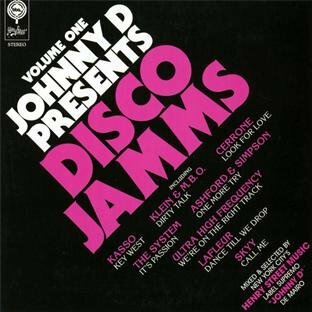 On Johnny D Presents Disco Jamms Volume 1 on BBE Music, you’ll find a total of twenty tracks on two discs. Unlike other inferior disco compilations, Johnny D digs deeper, in his quest to find this refreshingly eclectic collection of music. There’s everything from Philly Soul, house and Euro Disco, to soul, R&B and disco. It allows you a sneak preview into the world of Johnny D’s musical influences and DJ sets. This means music ranging from the Philly soul of The O’Jays, the classic house of Klein and MBO’s Dirty Talk, the Euro Disco of Cerrone’s Look For Love. Then there’sthe Brooklyn, Bronx and Queen’s Band mixture of R&B and post-disco on Time For Love. By now, you’ll realize the quality of music on the compilation. If that’s not enough, how about the soul of Ashford and Simpson’s One More Try, Skky’s classic disco track Call Me or the electro disco of the B Beat Girls’ For the Same Man. Quite simply, Johnny D is a man with an impeccable and eclectic taste in music, and on Johnny D Presents Disco Jamms Volume 1, he throws just a few musical curve balls. This is what makes this compilation just so irresistible. You never know what to expect next. Never try to second guess Johnny D, as it’s almost impossible to guess what direction Johnny D Presents Disco Jamms Volume 1 will take next. Hopefully, as I write this, Johnny D is working on Volume 2, given the quality of music on Johnny D Presents Disco Jamms Volume 1 on BBE Music. THE BEST OF PERCEPTION AND TODAY RECORDS. The Best of Perception and Today Records was released back in April 2012, by BBE Music. This two-disc set, contained thirty tracks, which are a perfect introduction the majestic music of perception and Today Records. 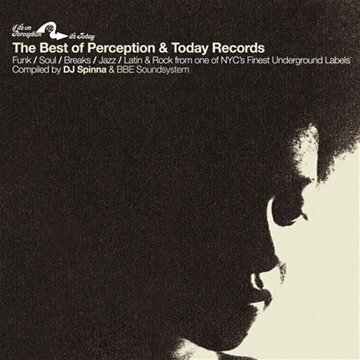 Compiled by DJ Spinna and BBE Soundsystem, The Best of Perception and Today Records features a combination of familiar tracks and hidden gems. Perception Productions were founded in the late sixties by Terry Phillips and Boo Frazier in New York. Their first signings were some of the biggest names in the history of jazz music. This included pianist and vocalist Shirley Horn, legendary trumpet player Dizzy Gillespie and saxophonist and flautist James Moody. This trio of greats had produced some of the most important and influential music in the history of jazz music. When Perception decided to branch out into other genres of music, they decided to found a new label, Today Records. It released mostly soul and funk music. A young producer, Patrick Adams, proved to be crucial in the success of Today Records. Together with Bill Curtis of The Fatback Band, the duo would drive the label on, releasing some of the most memorable music in the label’s history. On Disc One of The Best of Perception and Today Records are tracks from Dizzy Gillespie, Astrud Gilberto, Black Ivory, Wanda Robinson and J.J. Barnes. There’s hidden gems from lesser known artists like One Life, Joe Thomas, Madhouse and The Eight Minutes. These tracks range from jazz, soul, funk and Latin music, demonstrating the real eclectic nature of Perception and Today Records. Disc Two of The Best of Perception and Today Records features a similar eclectic selection of music. These fifteen tracks vary in style, with sizzling funk sitting side by side with some soulful cuts. There’s a Latin tinge comfortably sitting beside the psychedelic stew of Bartel. There’s even one of Wanda Robinson’s poems set to the music of Julius Brockington. This demonstrates the sheer quality of music that can be found in the back-catalogue of Perception and Today Records. For anyone yet to discover either label, then The Best of Perception and Today Records is the perfect starting point. During 2012, Harmless Records’ released three new volumes of their Disco Recharge series. Given how good each of these compilations were, I could easily have included Disco Discharge-Disco Exotica or Disco Discharge-Midnight Shift. Instead, I decided to choose what was Harmless Records’ rifteenth compilation in their Disco Discharge series in April 2012. This was Disco Discharge-Europa, the fourth compilation celebrating European Disco. 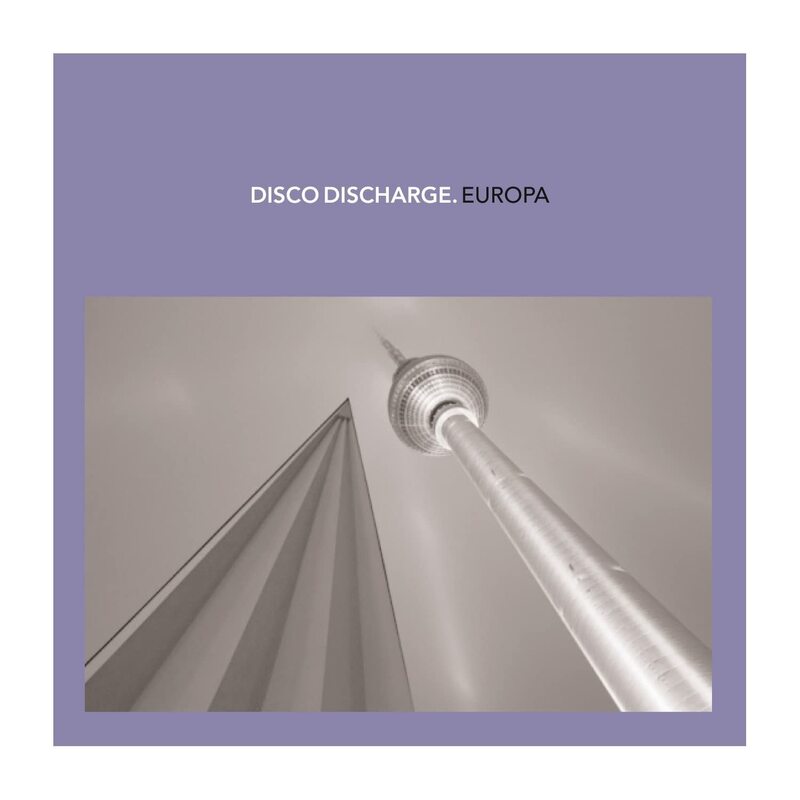 Following the success of Disco Discharge-Euro Disco, Disco Discharge-European Connection and Disco Discharge-Euro Beats comes Disco Discharge-Europa, twenty-four slices of Euro and Italo Disco. Again, compiler Mr. Pinks has determinedly, dug deeper in his quest to bring you some of the best, and hottest, Euro and Italo Disco of the eighties. The twenty-four discs on Disco Discharge-Europa were the perfect disco soundtrack to the summer. Twenty-four tracks filled two discs. On Disc One there were tracks from Taco, Loco Loco, Rose Laurens, Adelph and Digital Emotion. Disc Two contained even more goodies. This included tracks from Cleo, Swan, Lee Marrow, Alan Barry, Vanessa and Dr. Groove. With so many delicious, disco delights on Disco Discharge-Europa, compiler Mr. Pinks ensured that the Disco Recharge series celebrated its fifteenth anniversary in style. This wasn’t the last Disco Recharge compilation of 2012. Indeed, three more volumes followed. However, Disco Recharge-Europa had set the standard for them. Not only was Disco Recharge-Europa the finest compilation of Euro and Italo Disco, but one of the best disco compilations of 2012. RICHARD SEN PRESENTS THIS AIN’T CHICAGO. 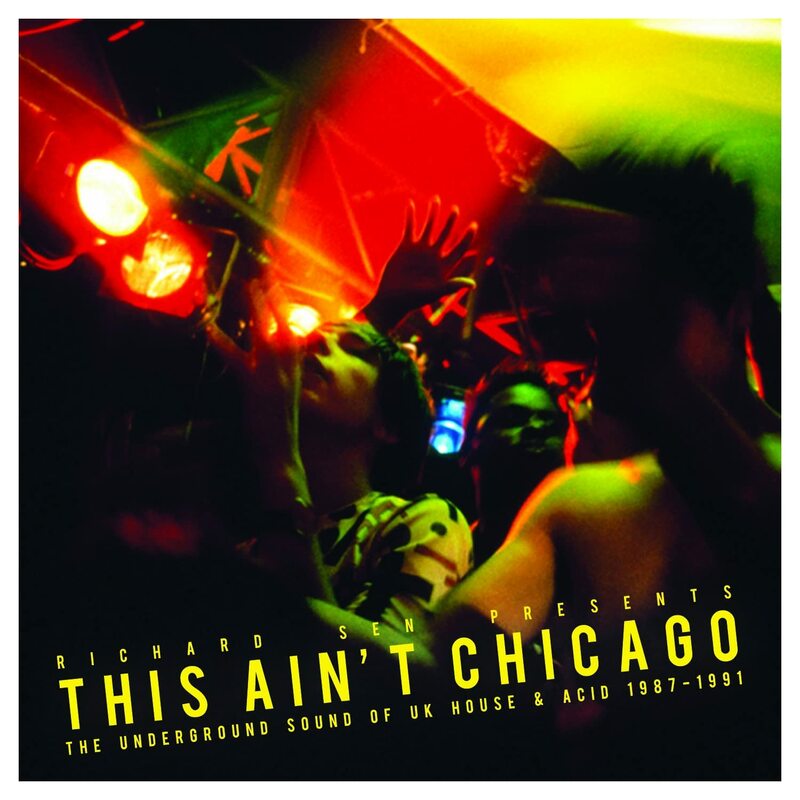 When I first received Richard Sen Presents This Ain’t Chicago released on Strut Records in June 2012, I was instantly transported back to 1985, when I first heard Chicago House music. Straight away, I realized that things were about to change. This wasn’t just a musical fad, this was something very different. Fast forward two years to 1987, and the Acid House scene was exploding in the UK. For the next few years, the old order was overthrown. Little did we know the effect Chicago house music would have. Soon, house music would become one of the most important musical genres in musical history. However, it wasn’t just American producers that were producing house music, so were their British counterparts, as Richard Sen Presents This Ain’t Chicago documents. Richard Sen Presents This Ain’t Chicago is a double album of UK House and Acid House tracks recorded between 1987 and 1991. These producers were among the first wave of UK producers. Unlike nowadays, there were no Apple Macs running Logic, Ableton Live or Pro Tools. Instead, it was all very different, with the equipment much more basic or lo-fi. Drum machines, synths, samplers and sequencers were all you had. Either you recorded these tracks onto a basic four-track recorder, or if you had the money, hired a recording studio. Sometimes, a vocalist was used, but all too often, samples were all the producer had. Given how basic the equipment was, the results are quite amazing. Disc One of Richard Sen Presents This Ain’t Chicago features thirteen slices of UK House and Acid House, produced between 1987 and 1991. These new, young producers were among the pioneers of this new scene. They were based throughout the UK, ranging from Manchester in the North West, Birmingham in the Midlands and London in the South. Among them, are Bang the Party, Baby Ford, The Man With No Name, May and Julie Stapleton, these will bring back memories of clubs like Manchester’s Hacienda and Heaven in London. They’ll also be the soundtrack to many a forty-something’s clubbing days. For many a veteran clubber the music on Disc Two of Richard Sen Presents This Ain’t Chicago will bring back memories. They’ll remember dancing in dank, dark warehouses. That’s after spending half the night traipsing up and down motorways, A-roads and dimly-lit side-streets. Eventually, you arrived, following the noise of the P.A. and the stream of up-for-it ravers. Once there, you might hear tracks from Sly And Lovechild, Static, Colm III, The E.L.F. and Annette. Listen to the eleven tracks on Disc Two and just like the music on Disc One of Richard Sen Presents This Ain’t Chicago, hazy memories of hedonistic nights, where anything went and usually did will come flooding back. These six tracks are among my favorite compilations released between January and June 2012. Given how many great compilations were released, I could’ve chosen many other albums. Truly, I was totally spoilt for choice. I started with a mini-mountain of albums, and gradually whittled them down to just six. Although some compilations picked themselves, others were much more difficult to choose. Indeed, on another day, I might choose differently. However, these are the compilations I’ve decided are my six favorites released between January and June 2012. I’m sure choosing my six favorite compilations released between July and December 2012. ← BEST COMPILATIONS OF 2012 PART TWO-JUNE TO DECEMBER.